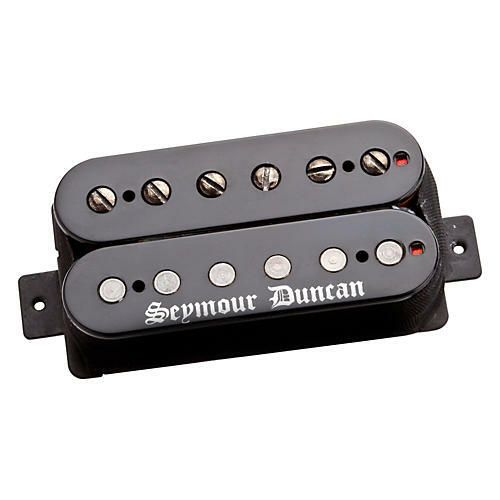 Seymour Duncan's Black Winter Humbucker Electric Guitar Pickup was desgined to be as dark as the winters in Scandinavia where black metal lives and breathes with excessive grime and aggression. Trick out your favorite axe to give it the right balance of mids, treble and bass for nailing annihilating riffs or articulately cutting solos. Extreme metal guitarists will enjoy the Black Winter's crushing distortion, punishing mids and tons of aggressive saturation. Choose from Neck, Bridge, or get a Set in the drop down menu. Naturally they are only available in black.